In today’s market where the values are all over the map, so figuring out the real value of a property can be difficult. The comparable sales method is the most commonly used — and still the most accurate one — to determine the value of single-family homes, condominiums and smaller rental buildings (two to four units). Start by researching information about sold properties on your local government Web sites for your target area. Many tax assessor’s offices and county courthouses offer searchable online databases that allow you to view the prices for properties within a specific area. They usually list full details about the properties, including square footage. Plus, subscriber Web sites such as Electronic Appraiser (www.electronicappraiser.com) give you detailed information, particularly in areas where online data is scarce. 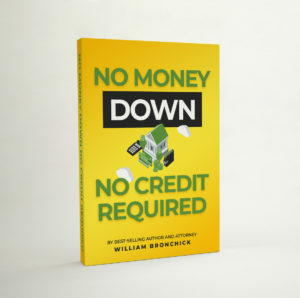 Free Websites such as Zillow (www.zillow.com) also offer property data, but the information is less detailed than for the paid sites. For example, the seller’s name may be missing, which could be relevant if the seller was a bank, as in the case of a foreclosure sale. If that’s the case, it can’t be considered a comparable sale because the property was sold in distress. Be careful about using Web sites that offer a computer-generated valuation. These are called automated valuation models (AVMs), which aggregate sales data from comparable properties to determine an estimated price. While AVMs can be a benchmark for determining value, they can be off by as much as 10% or more. With a little research, you can pinpoint the value to as close as 3 to 5% percent. The most useful computer database for getting information about comparable properties is the local MLS. This database shows the number of days on the market and includes notes that indicate whether the property was updated, whether the seller offered concessions on the sale and so on. This additional data is generally not available through other sources, so asking a real estate agent or appraiser to help you will be crucial because most MLS systems aren’t accessible to the general public. While many factors come into play when you’re evaluating a residential property’s value by “comps” (comparable sales), the three key factors are location, size (square footage) of the home and the number of bedrooms and bathrooms. Obviously, you’ll need to look at many other aspects before you can pinpoint the exact value of a property, but these are the “big three.” You should be able to look at comparable sales involving properties with these three factors and get a good idea of the value of the property you’re selling. Location is extremely important when you’re comparing sold properties. A professional appraiser typically looks at houses within a one-mile radius or less, and so should you. In the case of a subdivision — where the houses are all similar and built in the same time period –, you need to compare similar houses with similar styles in the same subdivision to get an accurate valuation. If there’s a wide mix of properties in the subdivision, you may need to go outside of it to get comparable sales. Just be careful with “dividing lines.” Geographic lines such as opposite sides of the river, the park, or the main highway can be invisible dividing lines that put the property in another school district and may not garner equitable comps. 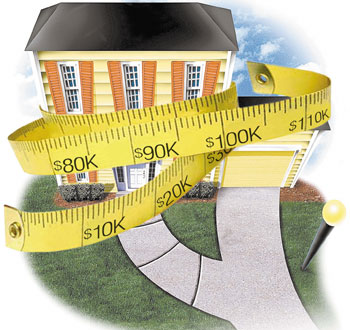 When determining a home’s value, be sure to evaluate the square footage. Note that appraisers typically look at homes that are within 20% up or down in square footage as comparables. Generally (especially within a subdivision), most homes fall within a fairly limited size range. Therefore, you should be able to develop a good gauge for the selling price of homes in those particular sizes. Of course, not all square footage is created equal. Most people think that if a house has 1,000 square feet and is worth $100,000, then the 1,100 square-foot house next door would be worth $110,000. Wrong! The extra 10% in square footage equals only a few percentage points in value. If these two houses offer the same location, style, and the number of bedrooms and baths, the 10% additional square footage won’t change the valuation much. Why? Because there is a fixed cost on a house based on the value of the land, cost of construction, sewer, subdivision plans, and other factors. An extra few hundred feet of space involves very little cost — only wood, nails, carpet, and possibly some minor electrical and plumbing costs. The number of bathrooms and bedrooms is more relevant than simply the raw square footage. In other words, a three-bedroom home with 1,200 square feet might be worth more than a two-bedroom home with 1,250 square feet. It also matters where the bedrooms and bathrooms are located – on the main floor or the basement. While finished basements can add value, the amount of that value is less than it is for above-ground living areas. Plus, this greatly varies depending on different regions of the country. In humid areas, below-ground living space isn’t as valuable to homeowners as in drier areas of the country. To determine a home’s value using comps, also look at the quality and number of bedrooms and bathrooms. Three-bedroom homes are generally a big plus over two-bedroom homes, but four or five-bedroom homes don’t add as much over a three-bedroom if they are roughly the same size in square footage. Likewise, two bathrooms is a big plus over one bathroom, but three or more don’t add as much value. When comparing bathrooms, make sure you understand the different types of bathrooms and compare them correctly. A full bathroom includes a shower, bath, toilet, and sink. A three-quarter bath has a shower but no tub, plus a toilet and sink. A half bath has a toilet and sink but no tub or shower. A three-quarter- or full-bath create roughly the same value, particularly if another bathroom in the house has a tub. A half bath has less value unless there are enough other bathrooms in the house. Also, a five-piece bath (separate shower and tub) generally wouldn’t add more value than a regular full bathroom with a combination shower and tub. There are other factors to consider that affect the value of a home, but generally, you’d give this less weight than the location, size, and the number of bedrooms and bathrooms. Some houses have one-car or two-car garages, some have carports and others have neither. The garage factors in some value, depending on the rest of the neighborhood. For example, if the neighborhood comps all have two-car garages, this can affect value as much as 10% on the subject property if it only has a one-car garage or no garage. However, if the houses are all small and there’s a mix of garage options, the garage won’t be as big of an issue. Likewise, a four-car garage in a three-car-garage-neighborhood probably won’t count for much either. One exception is with condominium developments. Parking spots or garages are generally sold with condominiums and can have substantial value, particularly in large cities where parking is limited to the street. In addition to looking at properties sold in your target area, you need to look at properties that are for sale. While asking prices are not sold prices, it will give you an idea where your local market is heading – up or down. Also, keep in mind that if your strategy is to flip the property, the properties for sale are your direct competition and thus the asking prices are very relevant. For example, if you find properties that have sold for $150,000 but the current inventory on the market is priced at $140,000, the asking prices of your competition become just as relevant, if not more, as the sold prices of other homes. If you regularly invest in the same neighborhood, take some time to build yourself a “due diligence” notebook of properties that have sold, are under contract and are for sale within your area. Have your check the MLS every week for new listings and properties currently under contract so that your information is constantly up to date. Remember, you are only as good as your data, and the more information you have, the more accurate your values will be! If you are new to real estate, having a trusted advisor, attorney or mentor can be worth its weight in gold!